The first day of school is not complete without a "First Day of School" picture! We have made a sign for you to pose your student with- just fill out the grade they are in and take their photo! 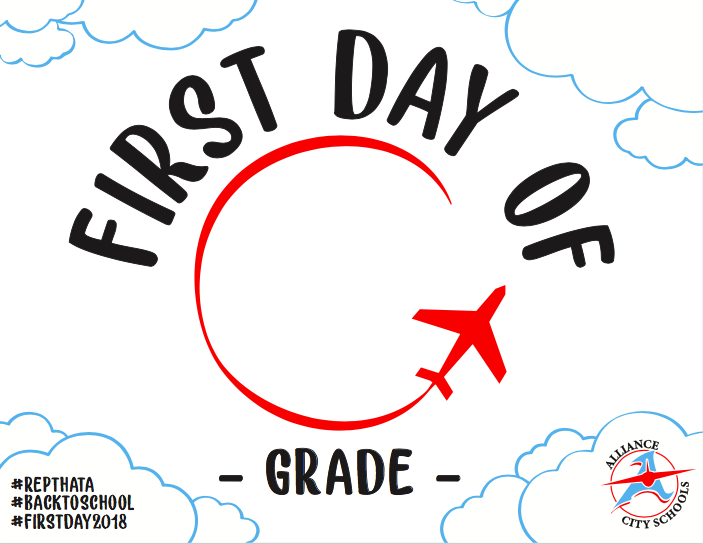 If you post it to social media use the #RepthatA so that we can see all our students ready for the first day. We can flood social media with our Aviator Pride! Your school building should also have these available on the first day of school.